Despite urgent warnings issued by the governor of Florida for residents to evacuate, many people have chosen to stay in their homes and ride out Hurricane Irma. The storm is spiraling with winds at 125 mph, but some residents like former San Jose residents Jim and Linda Miller, who are now living in Cape Coral, Florida near Fort Meyers, believe they will be OK. Most of the people in Cape Coral have already evacuated due to forecasts of the city getting hit hard by Irma. “When we were deciding to leave or not, we thought well there is no gas and lots of traffic and we have pets and that’s a mess too,” said Jim Miller of the evacuation. 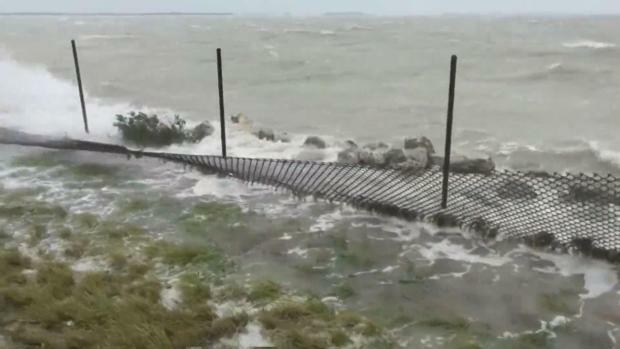 Despite urgent warnings issued by the Governor of Florida for residents to evacuate many people have chosen to stay in their homes and ride the storm. Marianne Favro reports. On Sunday, they were still fine but had lost power. "We have confidence in the house, confidence in each other, and we're going to be all right," Jim said. To prepare for the wrath of Hurricane Irma, the couple covered all windows with aluminum siding and bought extra food and water. 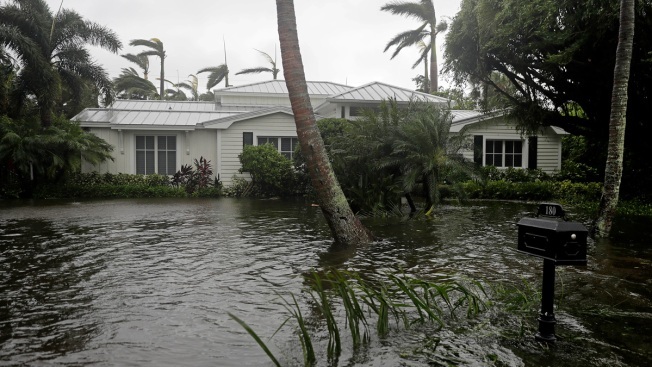 The couple’s home has held up in three hurricanes, including Hurricane Charlie. Jim says that during Hurricane Charlie, he, his wife and their cats hunkered down in a bathtub with a bottle of wine and a mattress over them. This time around the couple is prepared to do the same. “We’re just going to cross our fingers and pray that everything is OK,” said Jim.